Do not take essential oil internally. May cause photosensitivity in some people. Native to southern India and Sri Lanka, cardamom still grows abundantly in forests at 2,500-5,000 feet above sea level. The plant is a perennial, growing to about fifteen feet with mauve-marked, orchid-like, white flowers and very long, lance-shaped leaves. It is widely cultivated in India, southern Asia, Indonesia, and Guatemala, preferring shady locations and rich, moist, well-drained soil. Each pod contains up to twenty aromatic, dark red-brown seeds that have a mild ginger flavour. The seedpods are harvested by hand in dry weather during the autumn, just before they start to open. Then they are dried whole in the sun. The main harvest is in October and November of the third year after planting, after which the seeds are sorted according to size, form, colour, etc. Cardamom has been highly valued both as a culinary spice and as a medicine since ancient times, and was known in Greece at least since the 4th century BCE. It was also extensively used in Egypt to make perfumes. It has been used since ancient times in India. Today, Bombay ships about 250,000 pounds of seeds annually to London markets. The French use it to make oil for perfumes and as a cooking spice. Infusions make a pleasant drink to aid digestion and for the relief of digestive problems, especially that of gas and cramps. In India, it is used for many conditions, including asthma, bronchitis, kidney stones, anorexia, and general debility, as well as for disorders of the urinary tract. 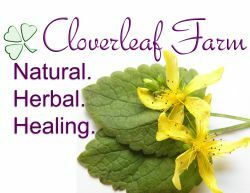 It is also used for digestive upsets, soothing a spastic colon, and relieving flatulence and constipation. In China, the herb is taken for urinary incontinence and as a tonic. It is also used for stomachache, nausea, vomiting, and flatulence. It is effective to counter bad breath; and, when taken with garlic, it helps to reduce the strong smell of garlic.